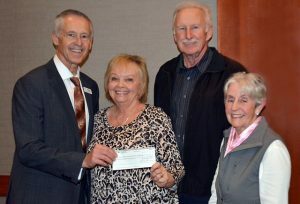 Members of the Okanagan Treasure Hunters Club (from left to right: Jo-Anne Birch, Syd Birch and Shirley Larose) presented John Moorhouse, of the South Okanagan Similkameen Medical Foundation, a cheque in the amount of $4,500 from the money raised by the sale of WestJet raffle tickets. 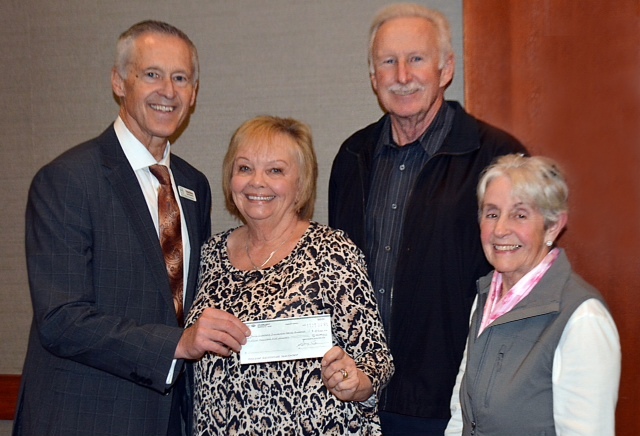 This brings the donation grand total to the Penticton Hospital to more than $36,000. 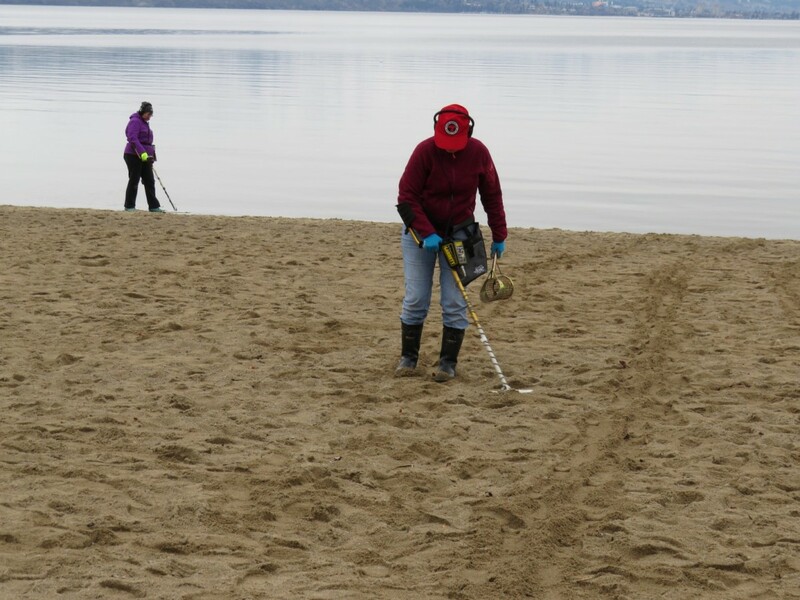 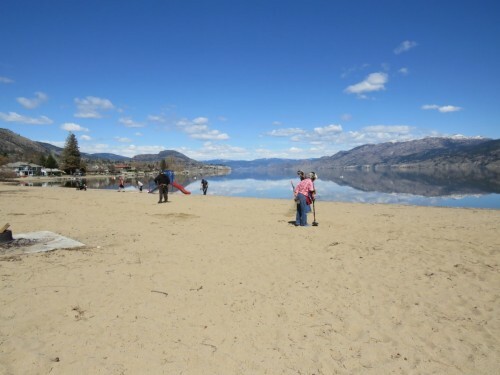 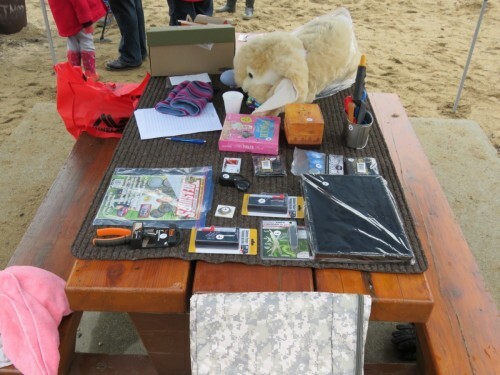 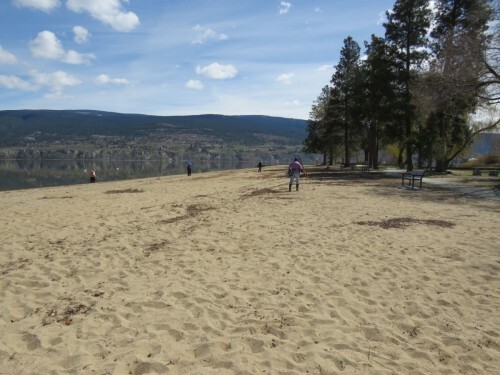 This month, the hunt was at Sun-Oka Beach in Summerland with a Halloween theme, so people were encouraged to wear a mask or costume to get a prize. 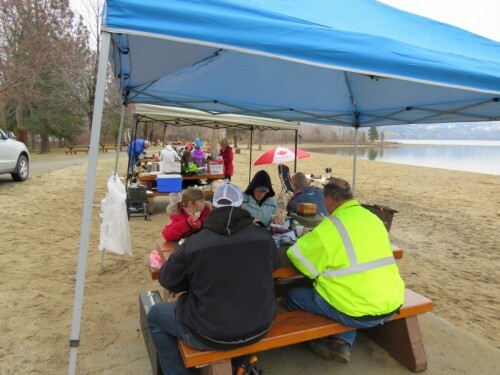 Eighteen members participated in a seeded sand hunt and then enjoyed a hot lunch of chili and buns. 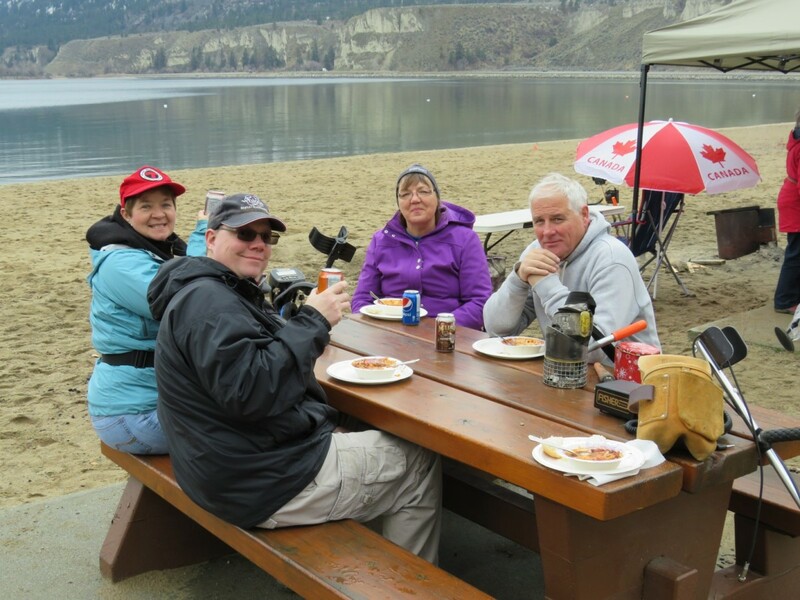 After lunch, a few of us hung out around the fire, while others continued to hunt the beach and surrounding area. Another beautiful Fall day in the Okanagan. 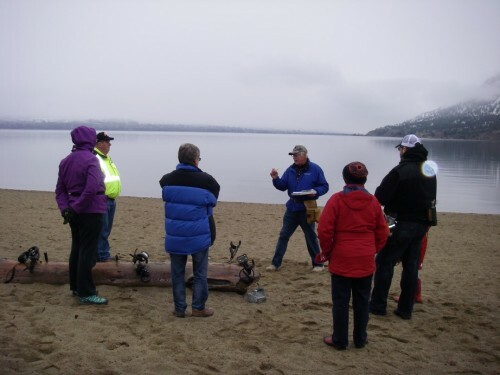 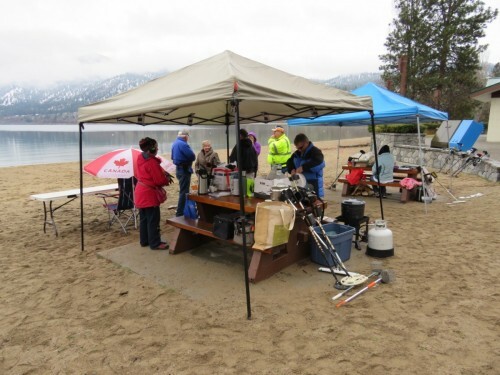 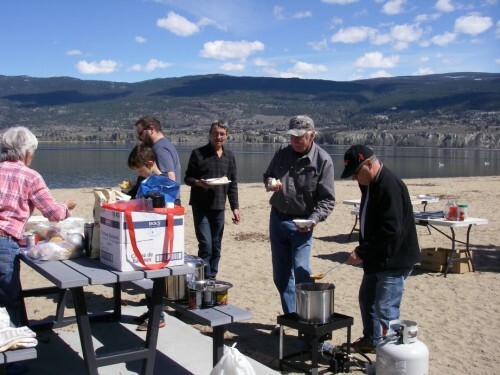 This month, the hunt was at Sun-Oka Beach in Summerland. Seventeen members participated in a seeded sand hunt. Barbecued burgers and hotdogs were served. 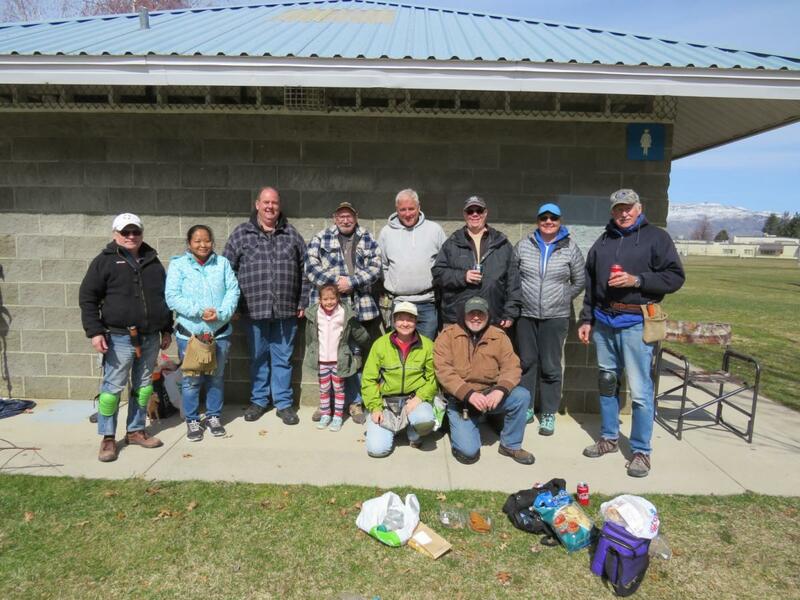 After lunch a few of us hung around a wood fire and exchanged stories of past hunts and Treasures in the Sand events and generally enjoyed a beautiful Fall afternoon. 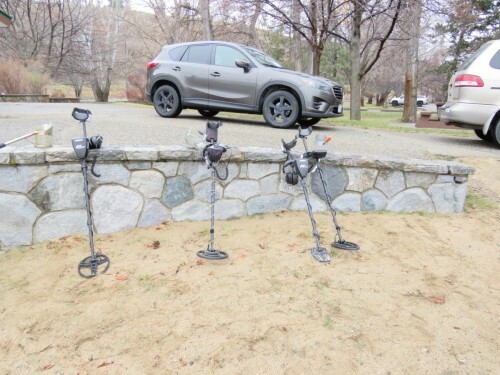 The Club was invited to detect at a private site in the hope of unearthing objects that might help in developing the history behind that area. 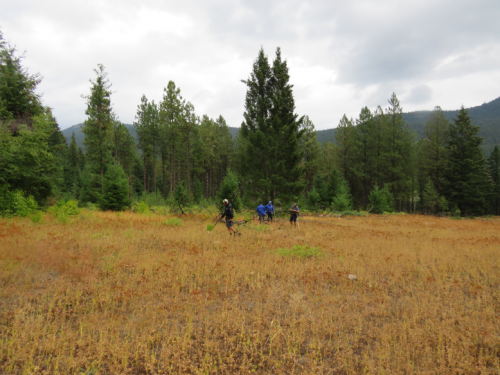 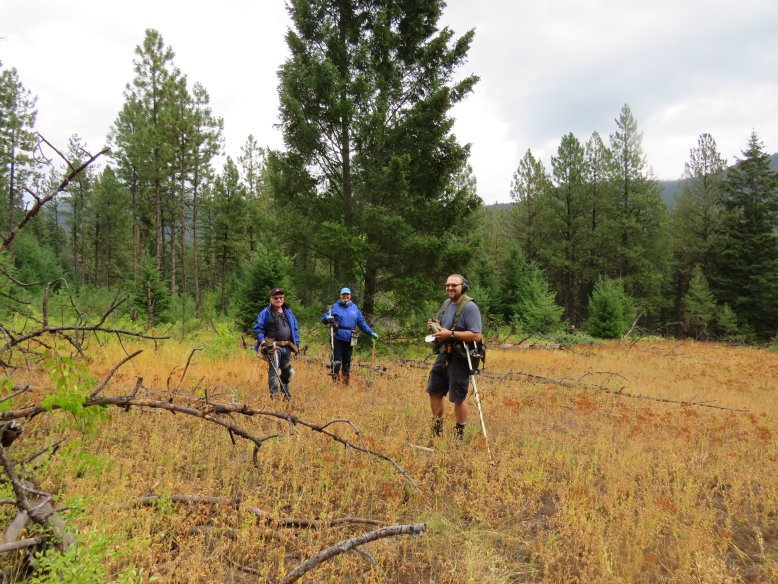 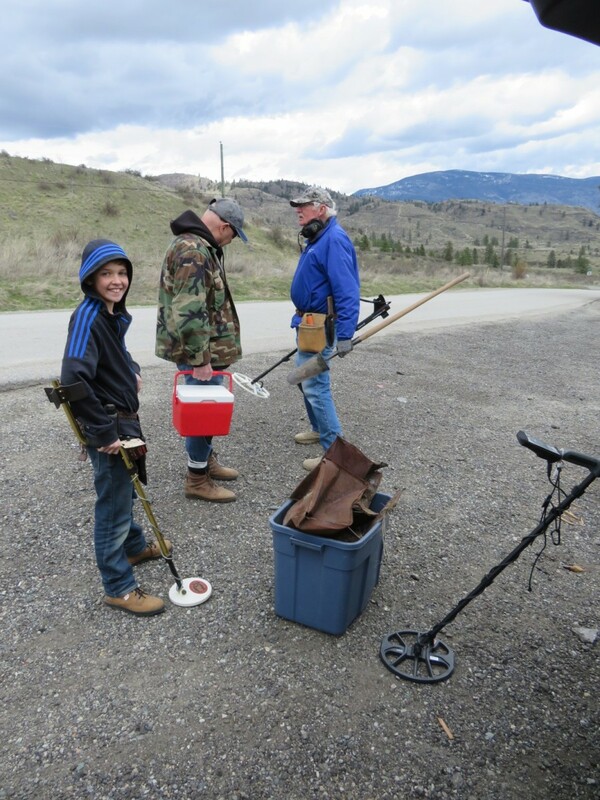 Nine club members made the trek to the site of what is believed to be on the “Fur Trade Trail”. 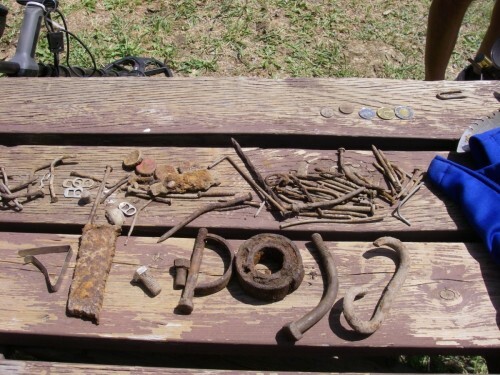 A number of objects have been found, but it appears at this point that possibly one item (a women’s hair barrette) may be indicative of historical activity. 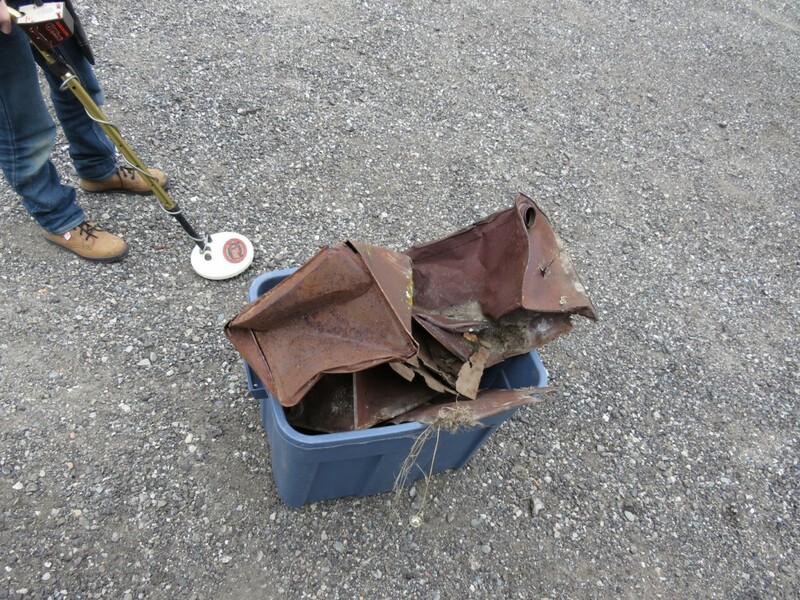 However, dating of that object is currently under way and we have no information at this time. 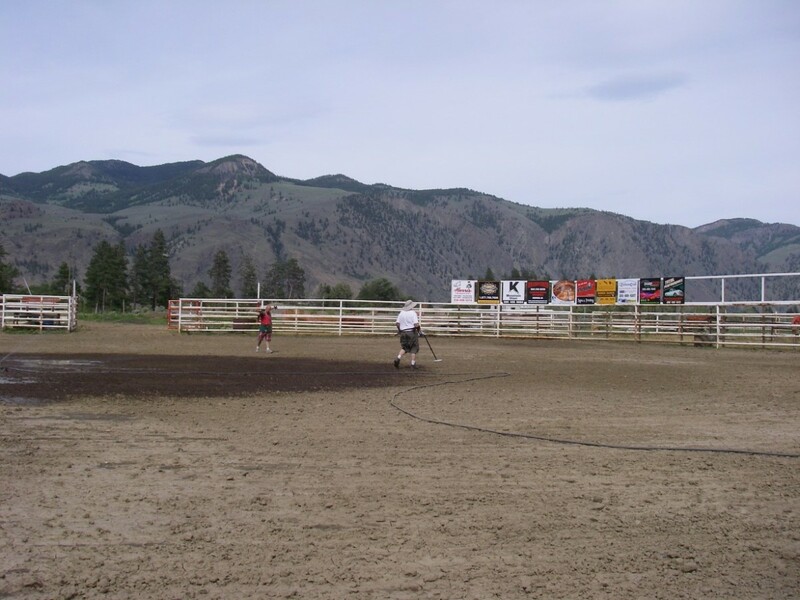 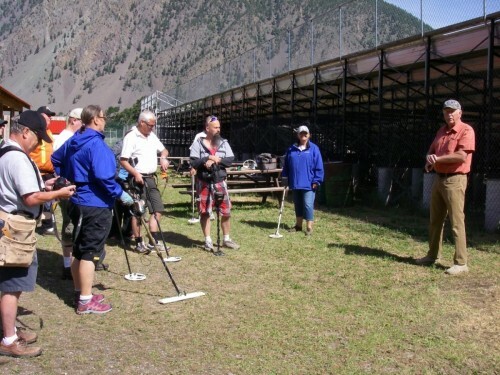 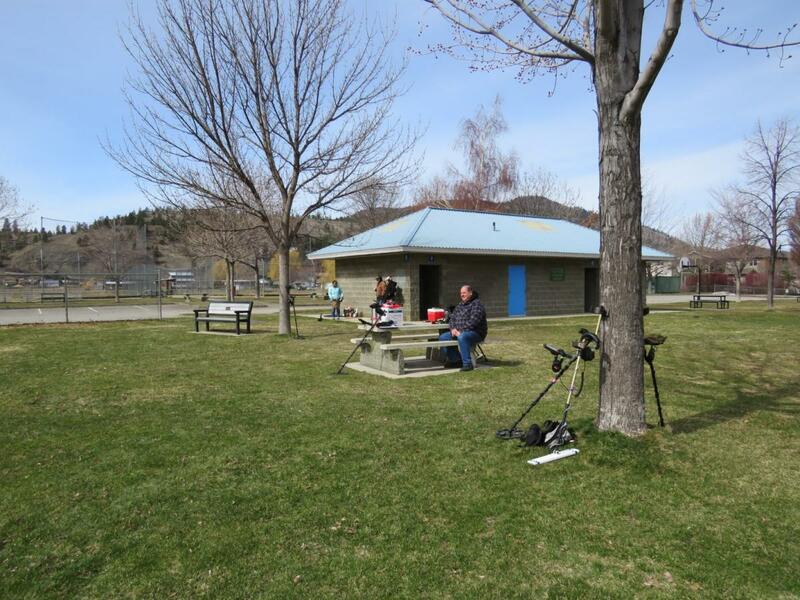 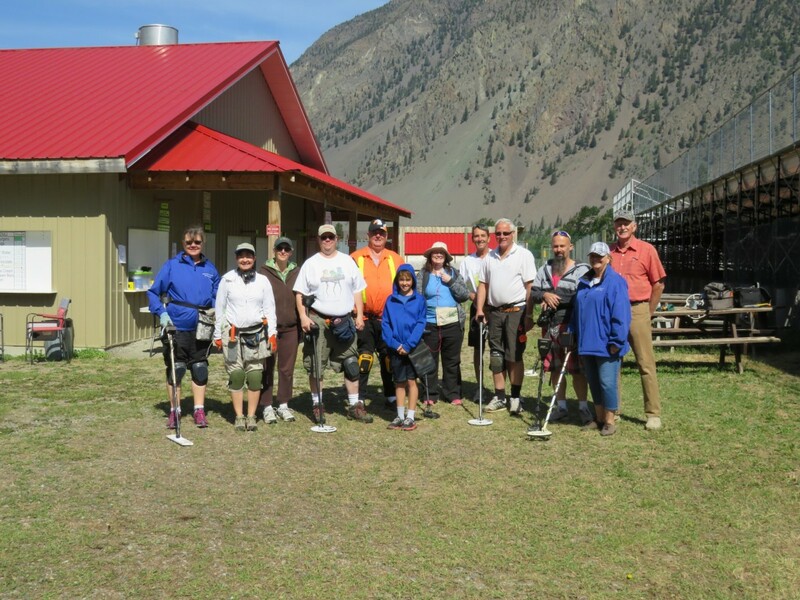 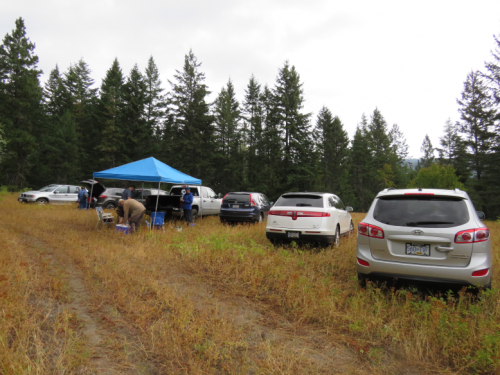 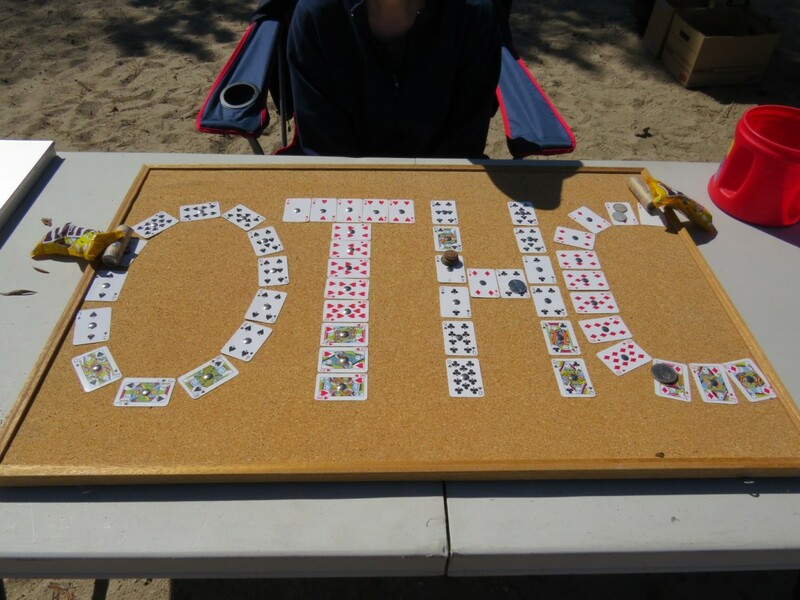 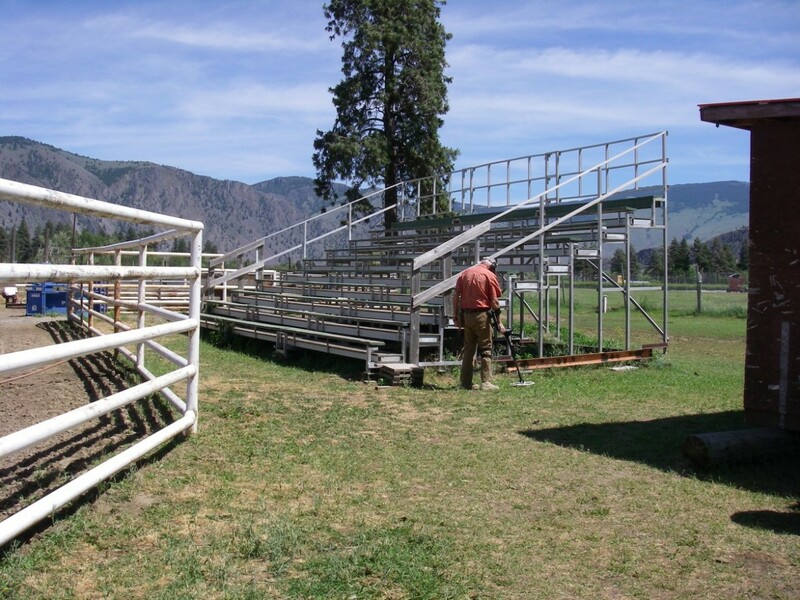 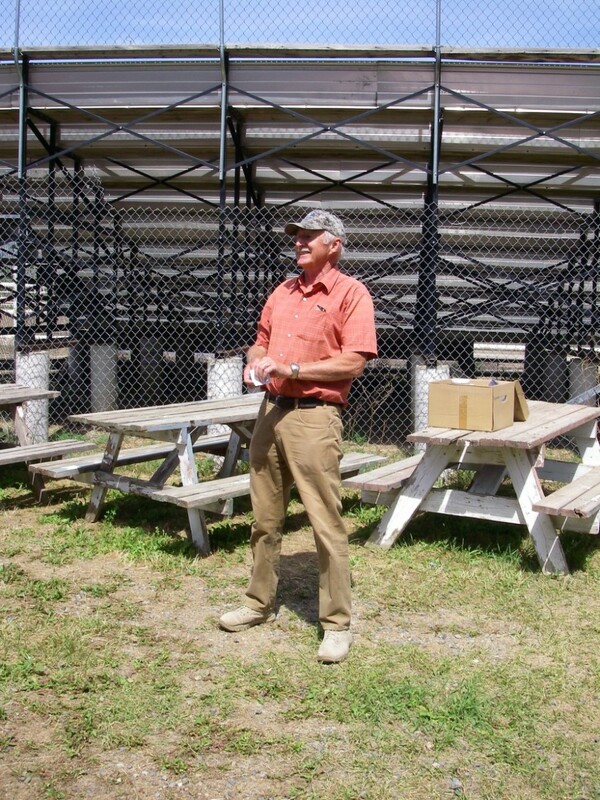 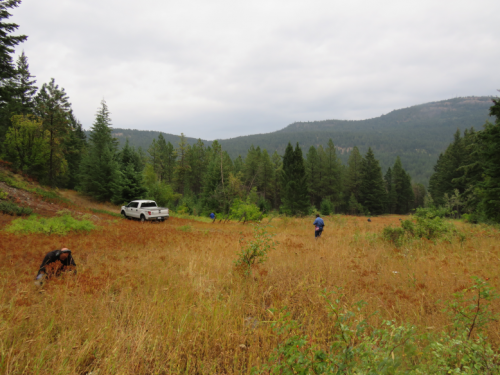 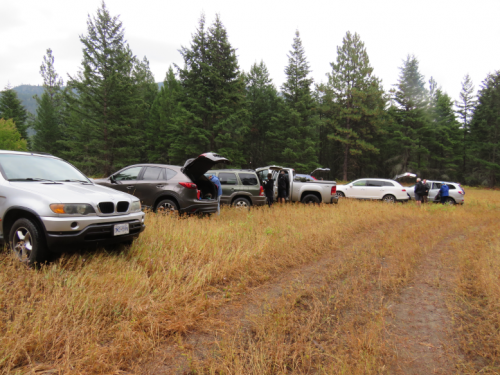 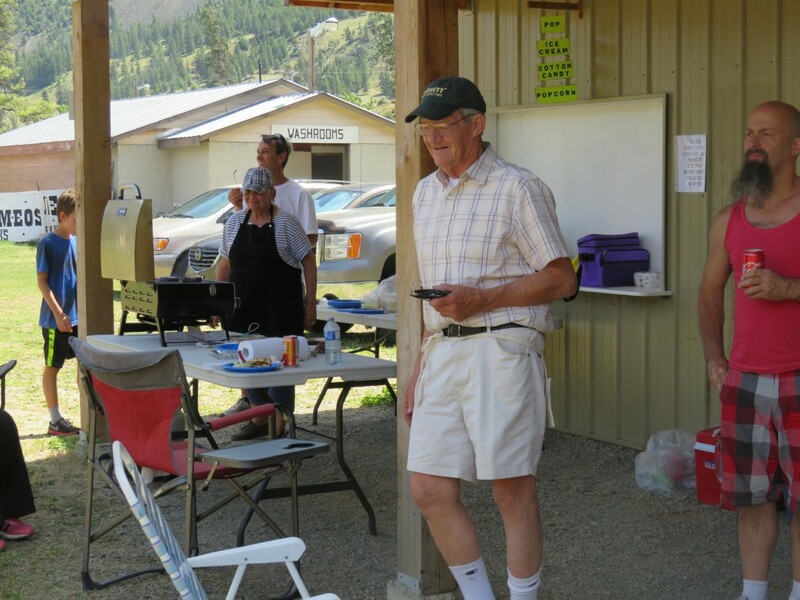 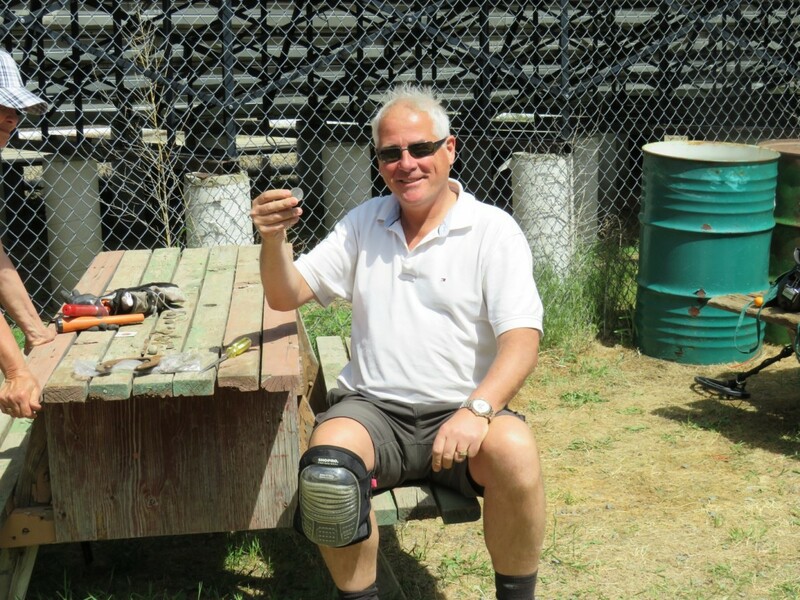 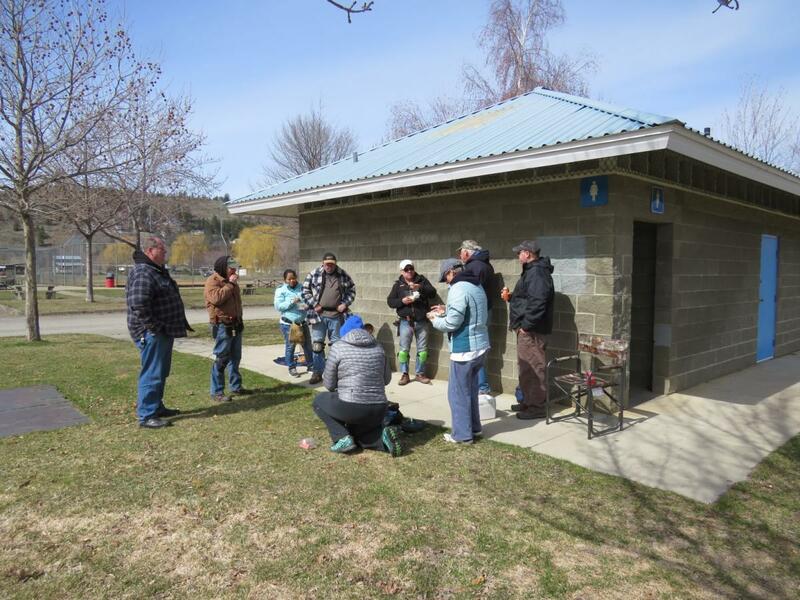 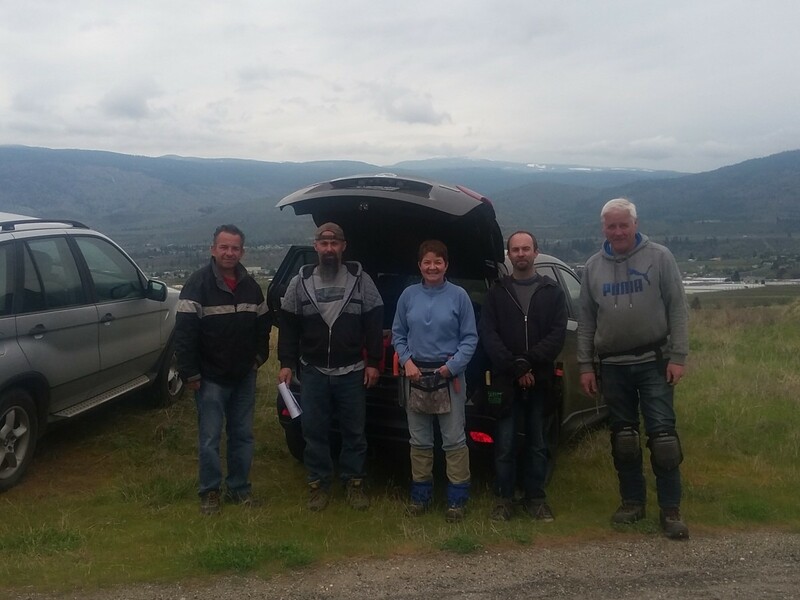 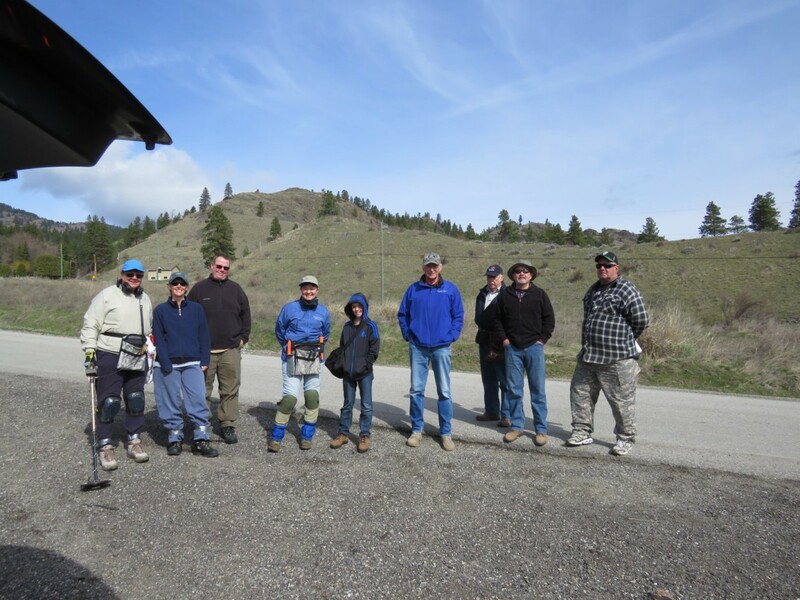 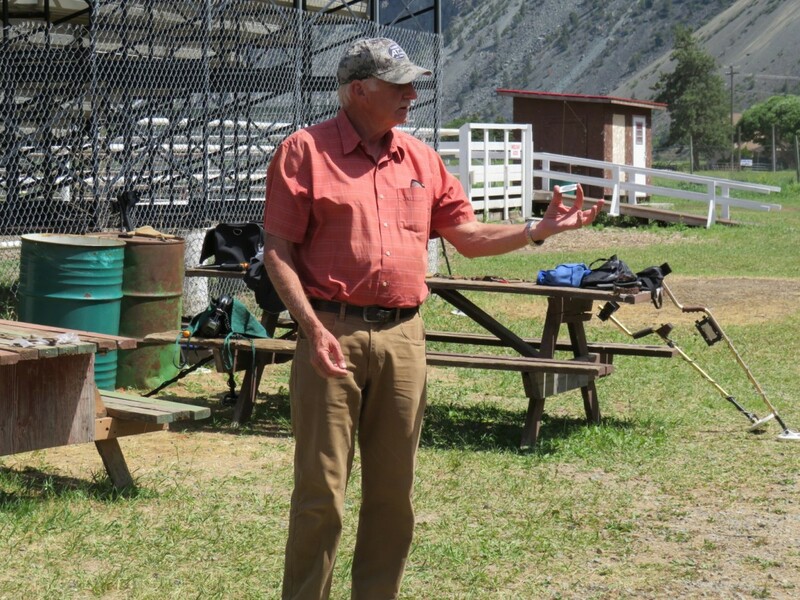 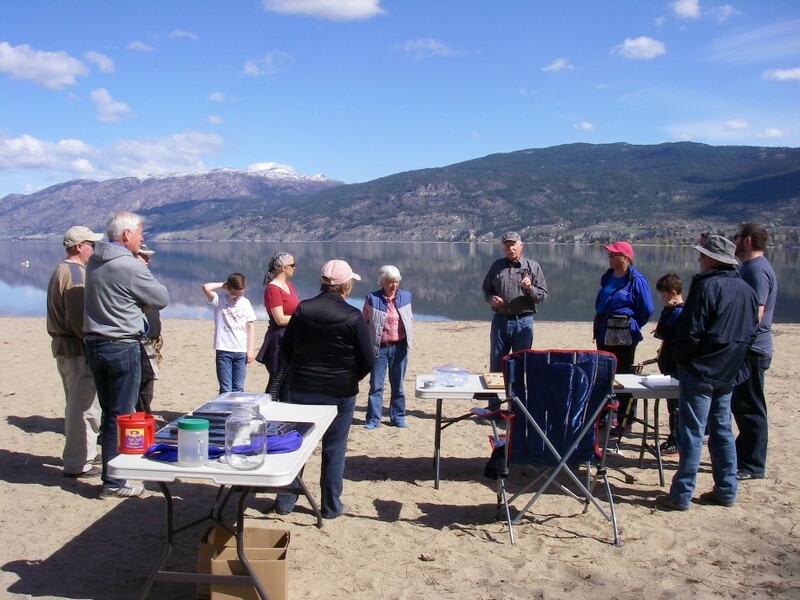 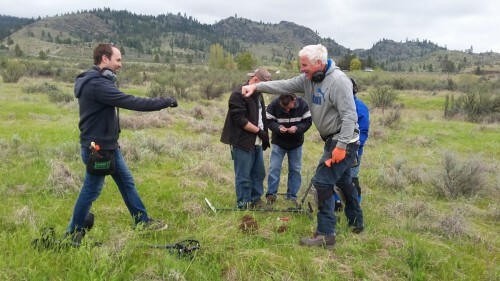 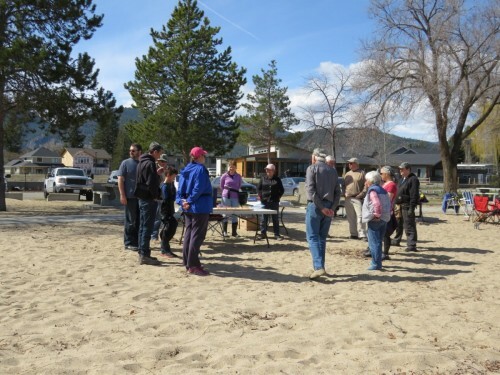 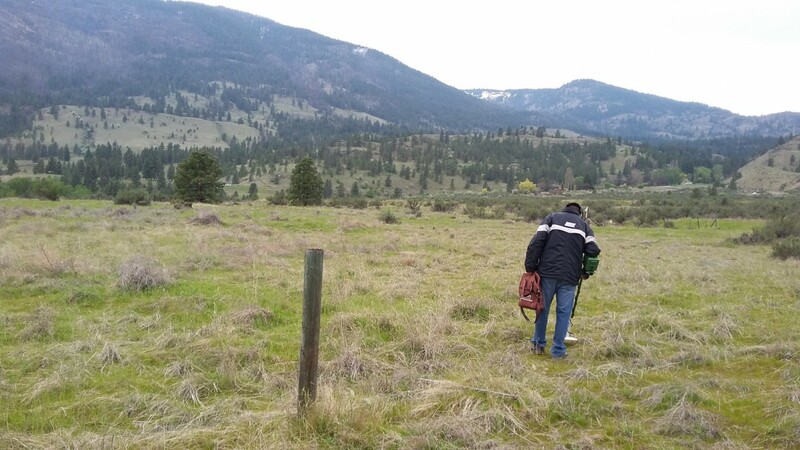 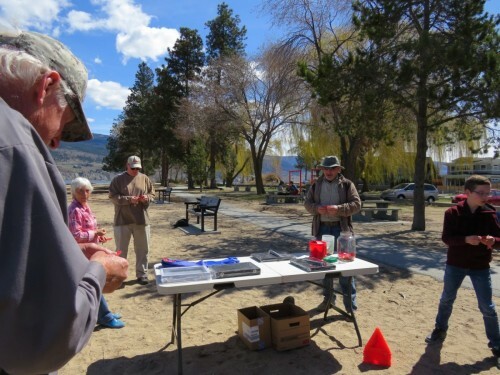 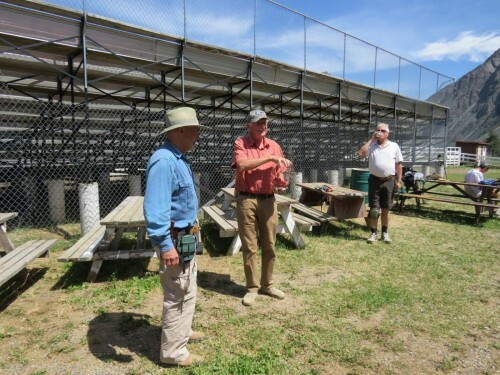 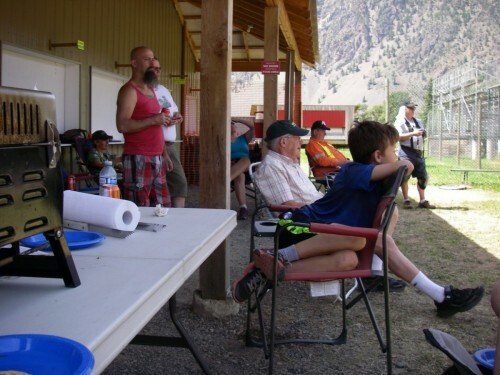 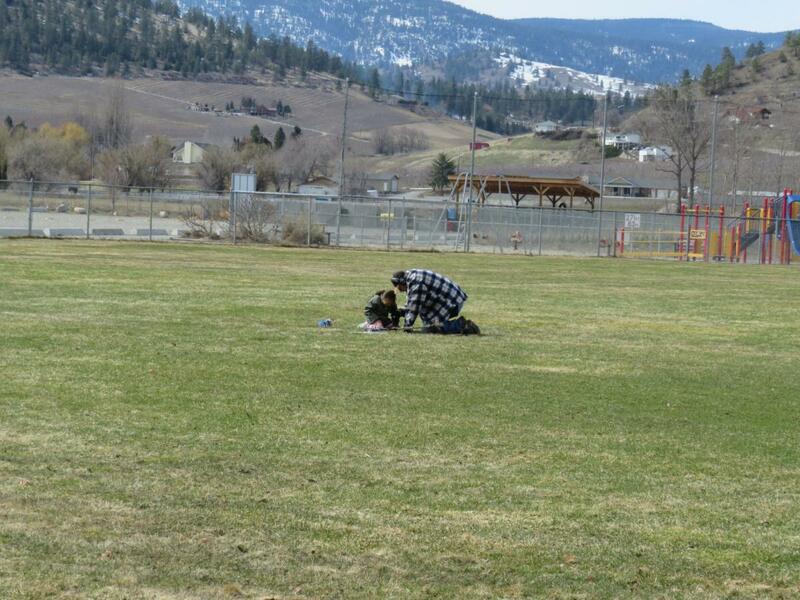 The Club held a hunt at the Keremeos Rodeo Grounds on May 26th. 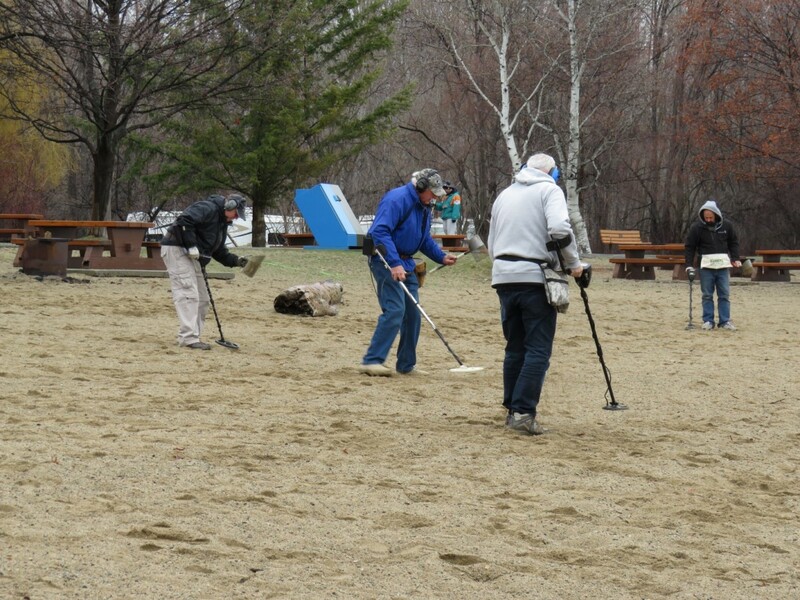 On the Tuesday prior, six members came down to help put the “finishing touch” to the grounds cleanup. In all honesty, the grounds had been combed the night before and all we managed was to fill one garbage bag. 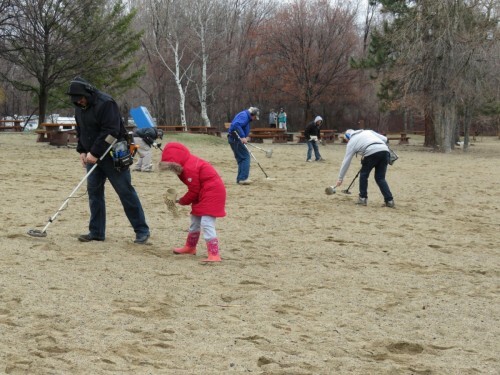 Nonetheless our efforts are always very much appreciated. 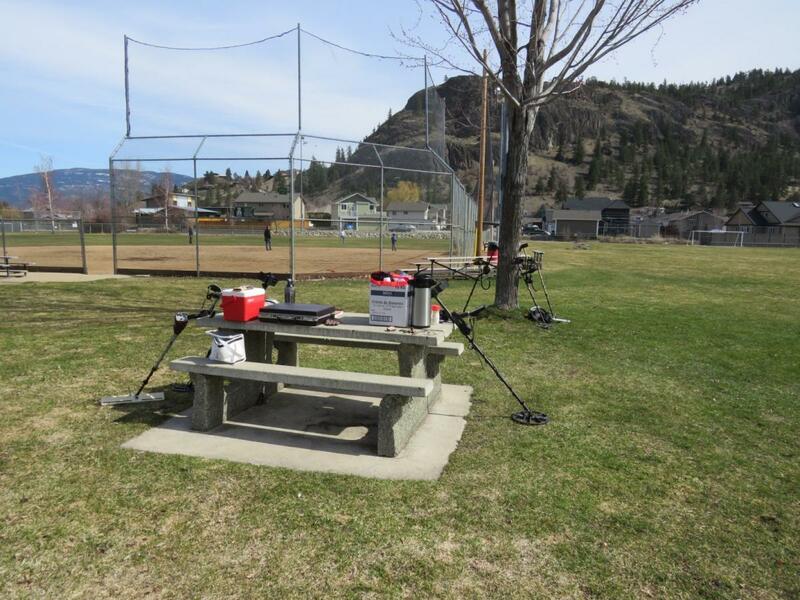 A heartfelt “thank you” to the Keremeos Elks Lodge #56 for allowing our Club to practice its hobby for the tenth year in a row. 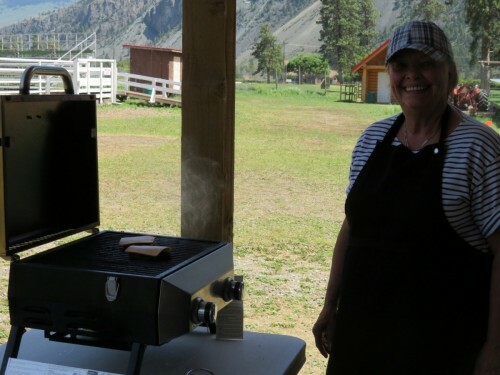 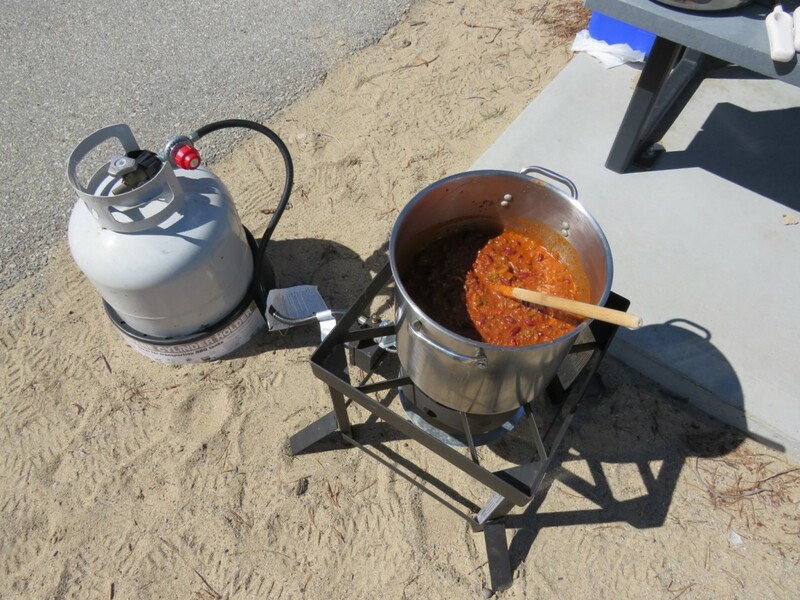 Fifteen members joined in this fun day that started at 10 AM with a lunch break at 1 PM when Jo-Anne barbecued delicious hamburgers and smokies. 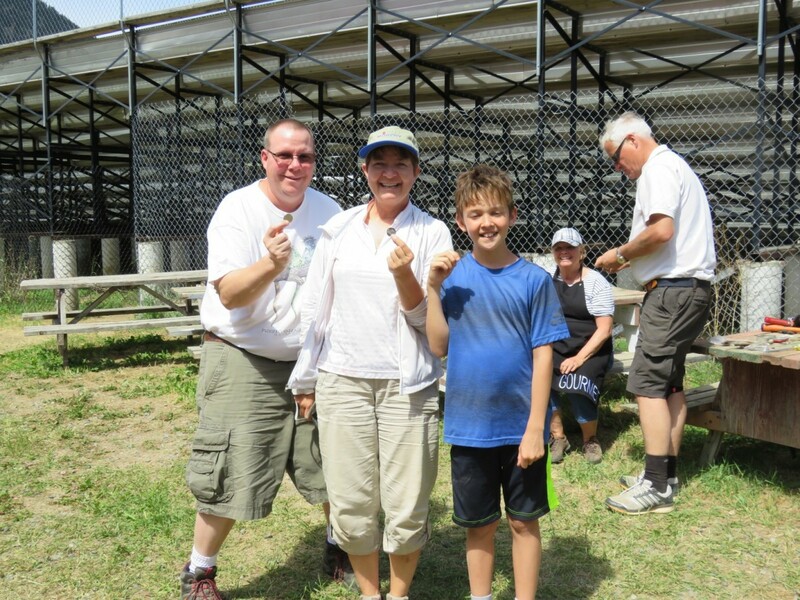 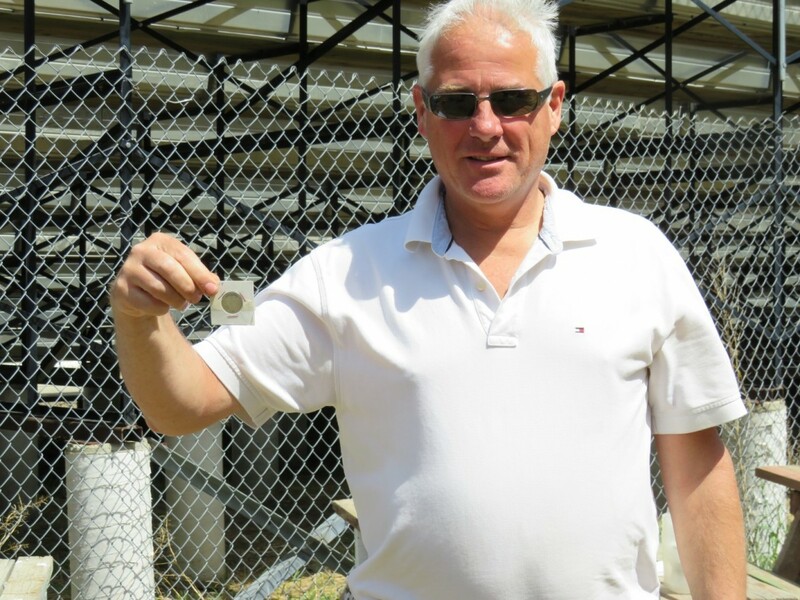 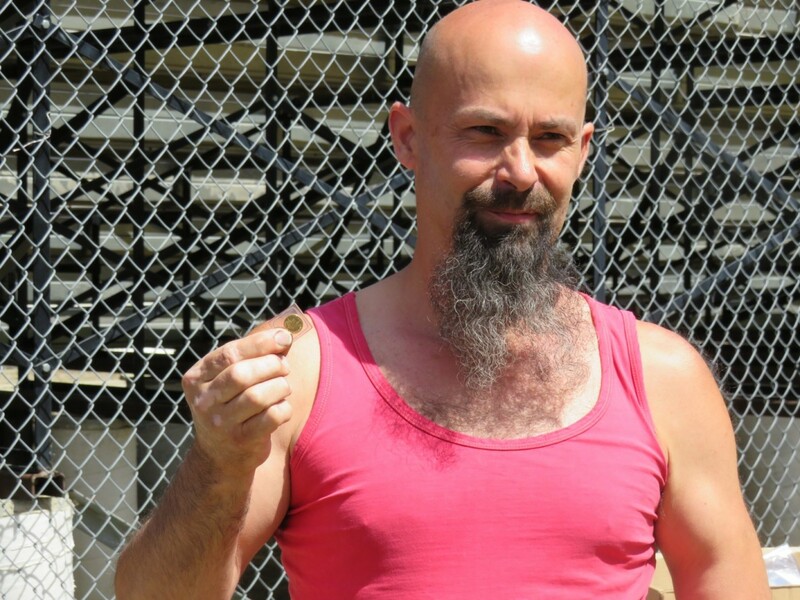 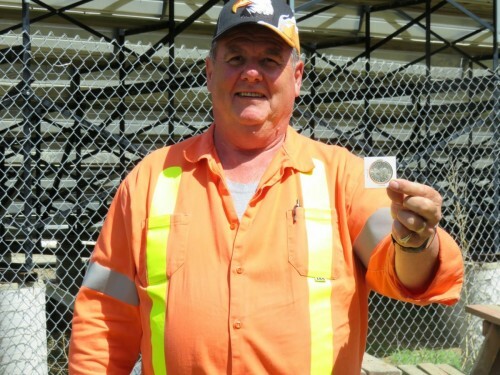 Prizes were awarded for oldest coin, most coins found, most nickels found, and least amount of coins found, but more than zero. 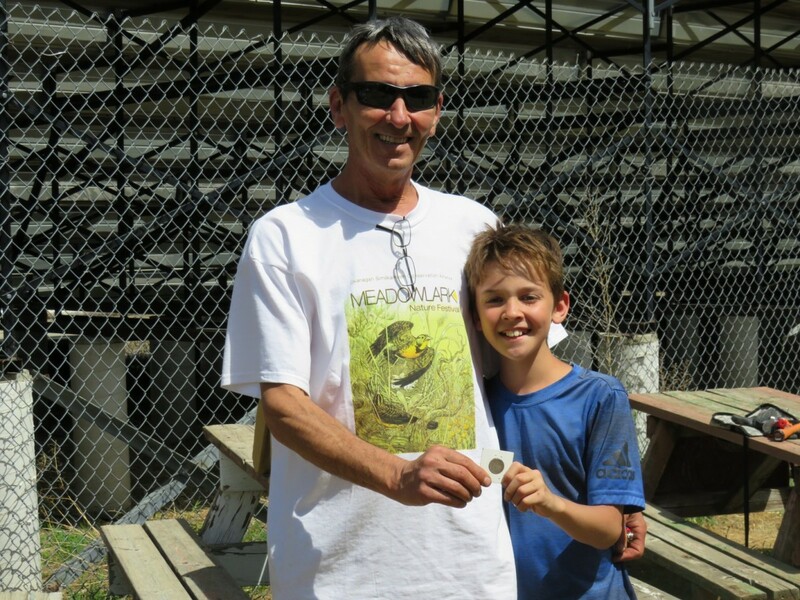 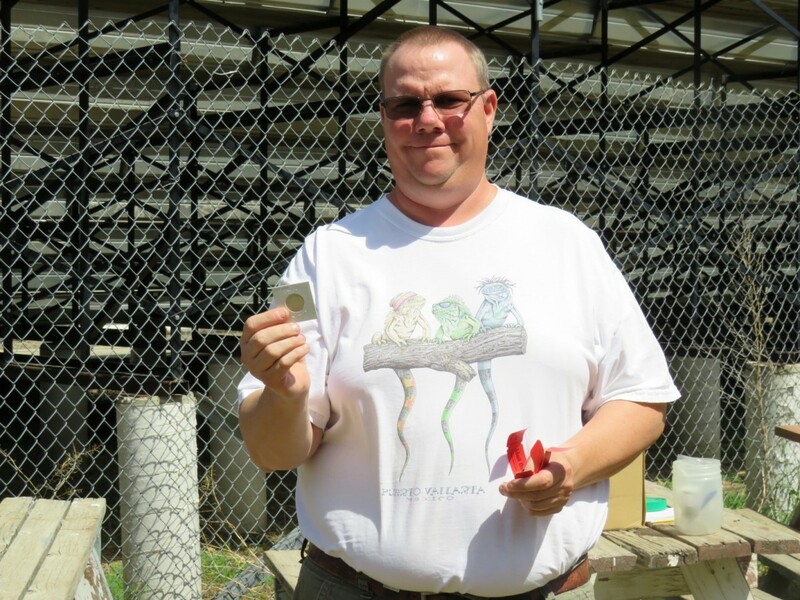 The Club also held the draw for 1/10th troy oz gold coin, 1 troy oz. 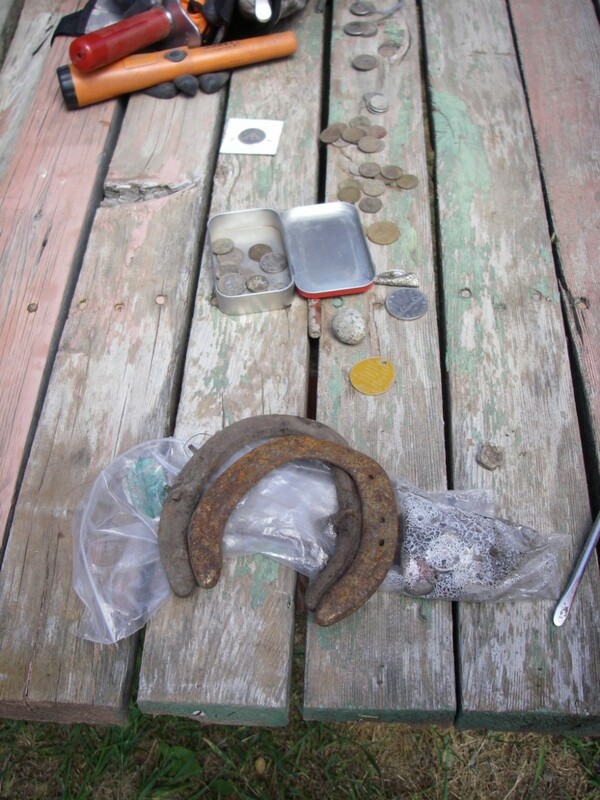 silver, and a Canadian silver dollar, as well as US Barber Silver Quarters. 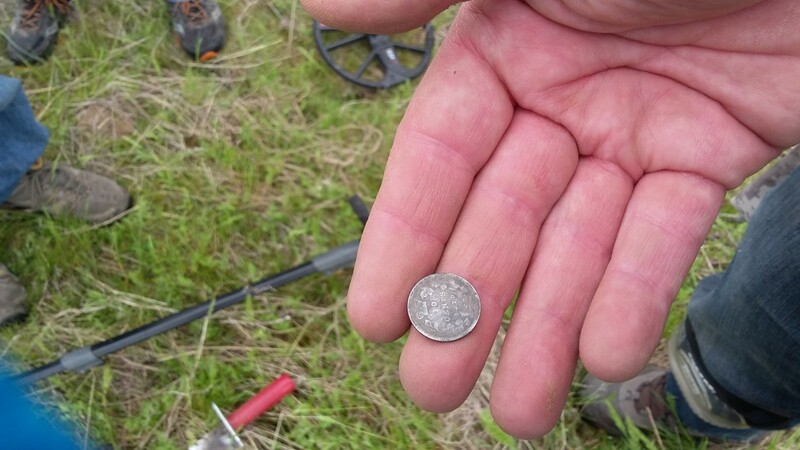 The last Detectorists left around 4:30. 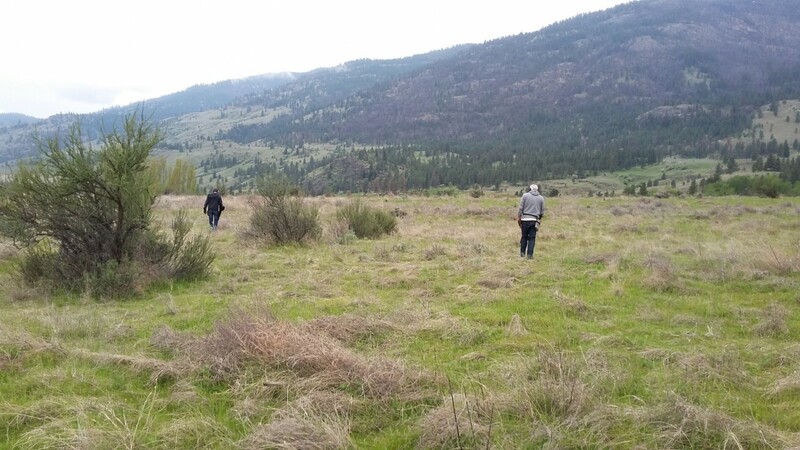 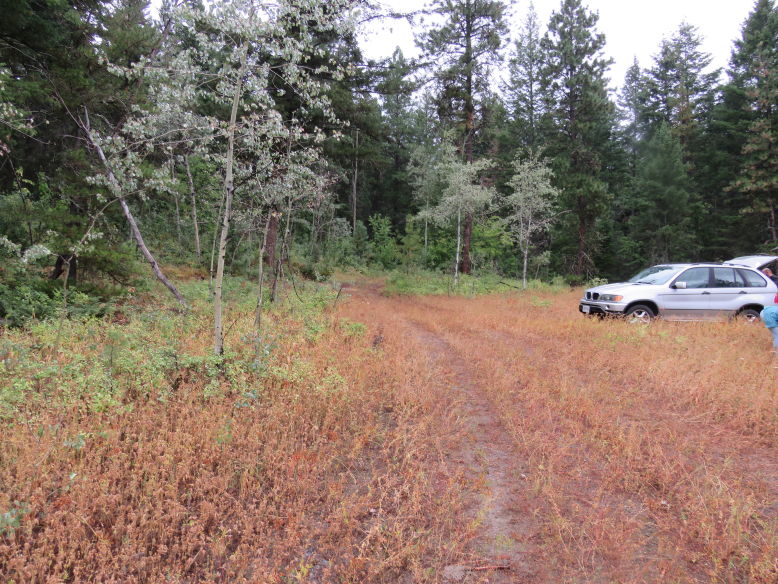 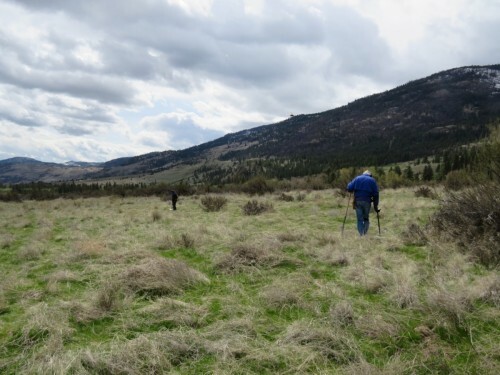 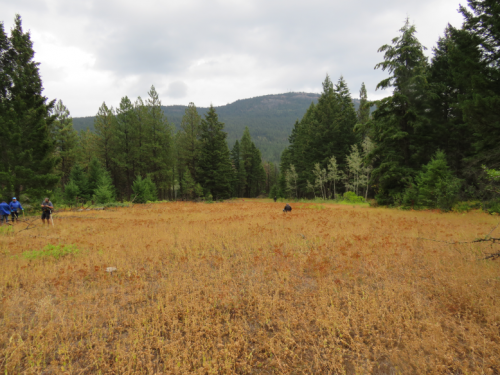 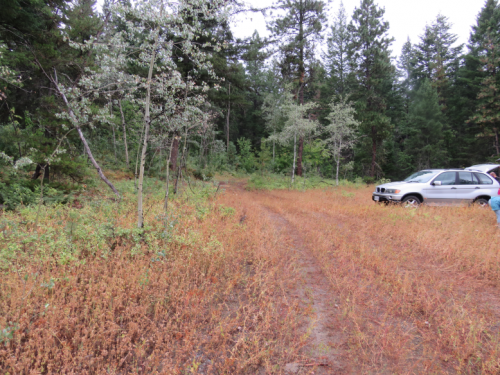 Three separate hunts on April 7th, 14th and 28 took place on the abandoned site of the once bustling townsite of Fairview, BC. Fairview was established during gold mining activity in the area in 1887 and by 1893 became known as the largest city north of San Francisco. 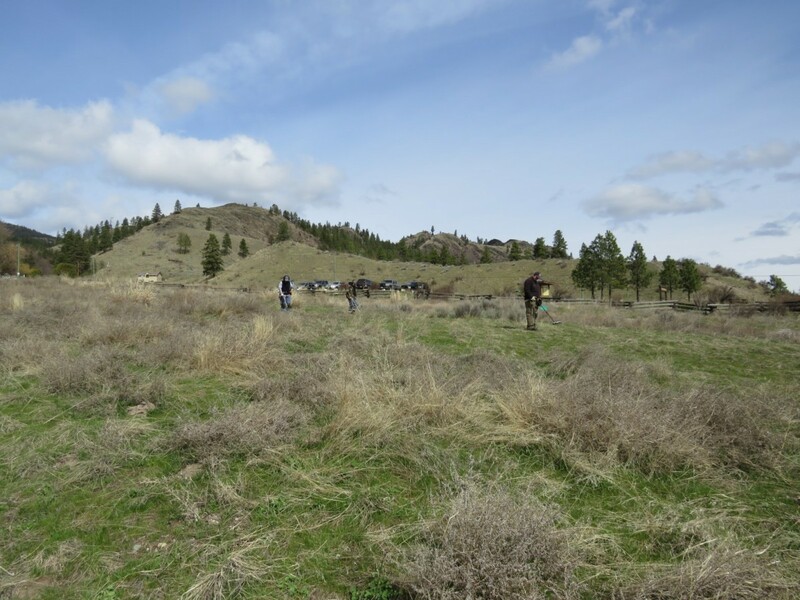 In 1897 the Fairview Hotel was constructed, (also know as the Big Tee Pee), but burned down in a fire in 1902. 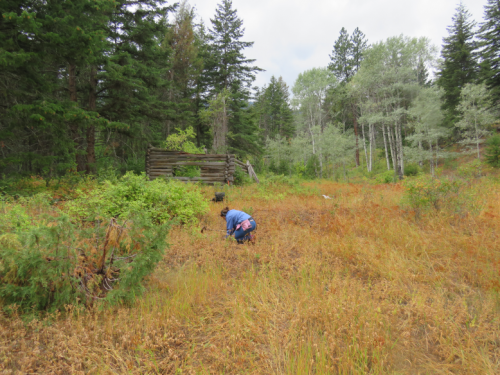 By 1906 mining activity came to a standstill and by 1919 the townsite was essentially abandoned. Today there are no buildings left but over the years numerous coins, pieces of jewellery and other items have been detected and sifted out of the soils in the area. The area contains quite a bit of metal trash and junk, as some of the photos show, but we also found some pretty interesting (and astounding!) 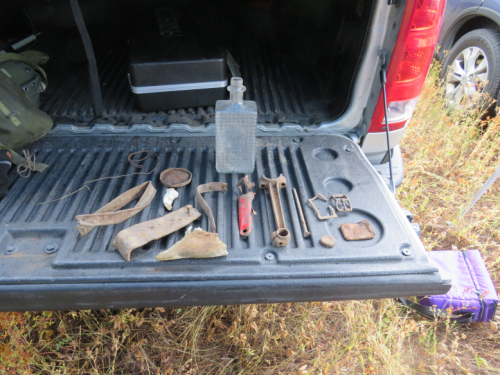 finds. 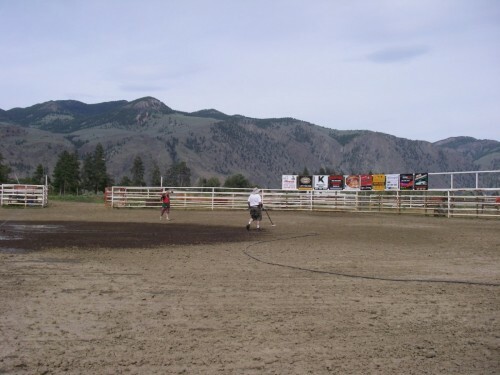 This is definitely a site we should all return to in the fall, after the rattlers and ticks have gone into hiding. 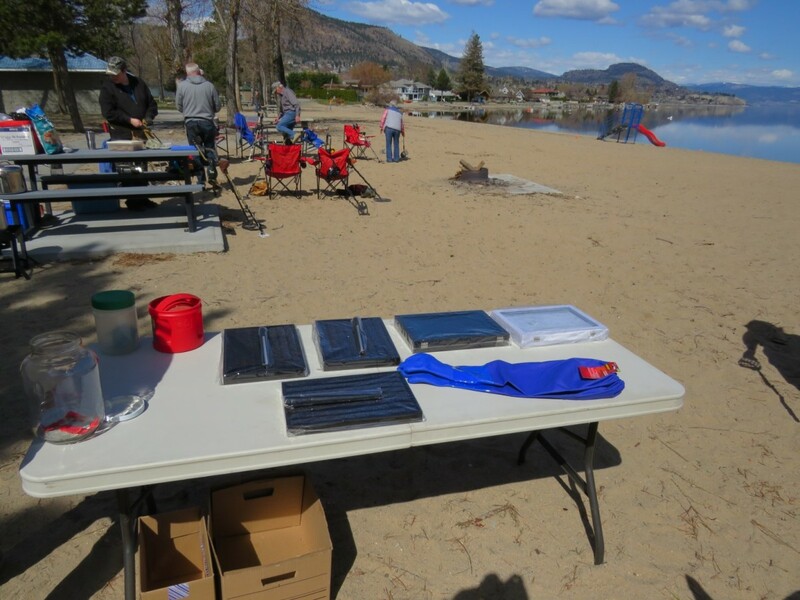 It was a beautiful sunny day at Powell Beach in Summerland for our April Club Hunt on April 22, 2018. Hunt master, Syd B, came up with a very fun and entertaining seeded hunt whereby participants had to decide between continuing to find as many tokens as possible (which were more than the number of prizes available) or to run back to the prize table to collect a prize before they all ran out. 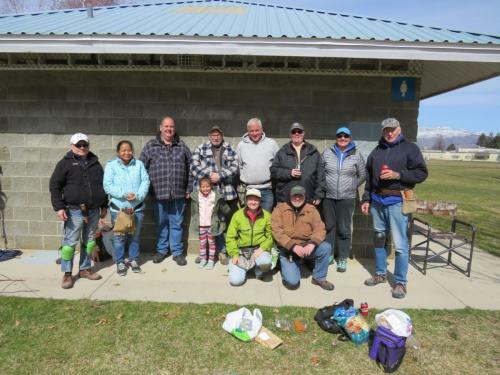 A very windy day it was at the Dale Meadows Sport Fields on Easter Saturday. Fourteen members (including junior members) joined the hunt. 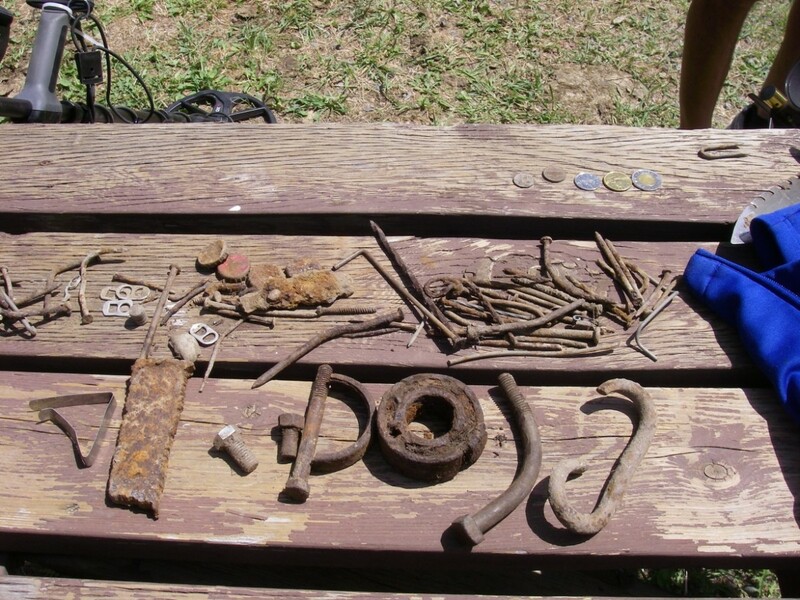 Lots of coins and interesting items were found. It was a snowy day to start the morning while driving through Summerland and for those coming from Kaleden and Penticton. 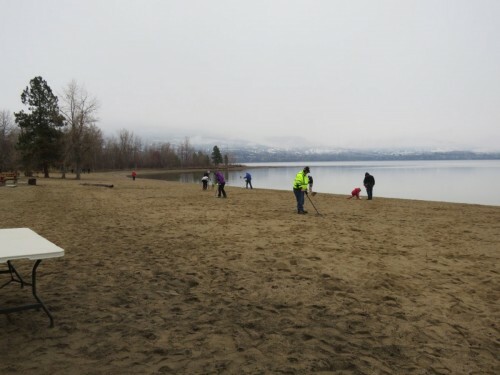 But on the beach, it was just another early cool Spring day. 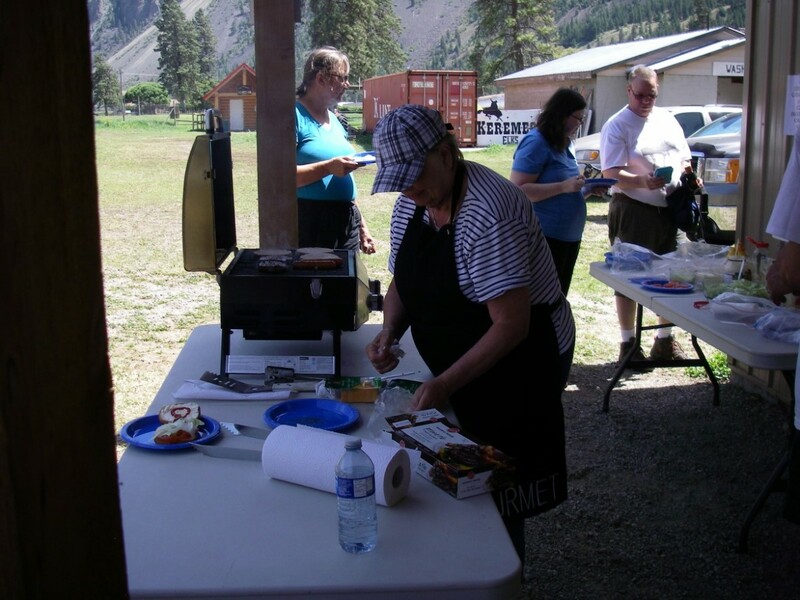 Thirteen people made it to the seeded hunt and great prizes were won and delicious lunch was served.